Graduate Research and Teaching Assistant for Professors Howard Odom and Jack Fox. 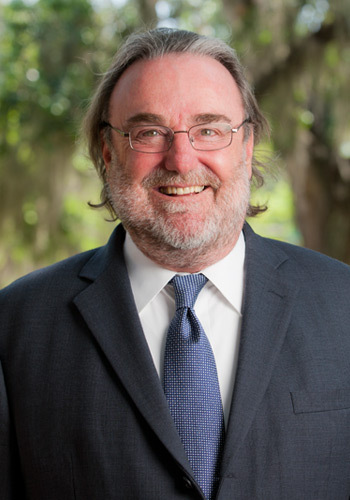 Richard has over thirty years experience and a state-wide practice in State and Federal Environmental and Administrative Law in Florida. In recent years, his practice has focused on the siting and licensing of complex energy facilities, including power plants, distribution and transmission lines, natural gas storage facilities and pipelines, and oil and gas exploration and production activities both on and off shore. Represents clients before local, state and federal government officials, agencies, courts and elected bodies, including county commissions, Governor and Cabinet, and the Florida Legislature, on a variety of environmental, land use, regulatory and proprietary matters. Co-counsel in property rights takings case before the U.S. Supreme Court, “Stop the Beach Renourishment, Inc. v. Florida Department of Environmental Protection”, No. 08-1151 (argued December 2, 2009). Advises clients on the siting and licensing of complex energy facilities, including electric power plants, transmission and natural gas storage facilities and pipelines. Represents clients on issues involving oil and gas, including geophysical permits, well drilling and operating permits, re-certifications, field unitization, correlative rights, and hydrocarbon transportation and storage. Represents clients relating to submerged land leases for docks and other structures, submerged lands easements for bridges, cable and pipeline crossings, and incidental crossings and temporary uses of submerged lands. Represents clients on coastal regulation matters, including coastal permitting for single and multi-family structures, seawalls and revetments, beach restoration, and property rights. Represents clients before State and Federal agencies on issues related to protected species permitting and enforcement. Represents clients on matters concerning water source construction and operation permits, NPDES permits, federal dredge and fill permits, environmental resource permits, and enforcement and rulemaking related to water resource permitting. Former in-house counsel for environmental consulting firm. Incipient Incompatible Use Policy, Florida Bar Journal, (April 1995) (Author). Listed in the annual publication of The Florida Super Lawyers, 2007 Edition. Listed in 2006 Edition of Florida Trend Magazine’s “Legal Elite”.